On a sky-blue day recently, I had a chance to visit the Oregon Oyster Farms outside of Newport. 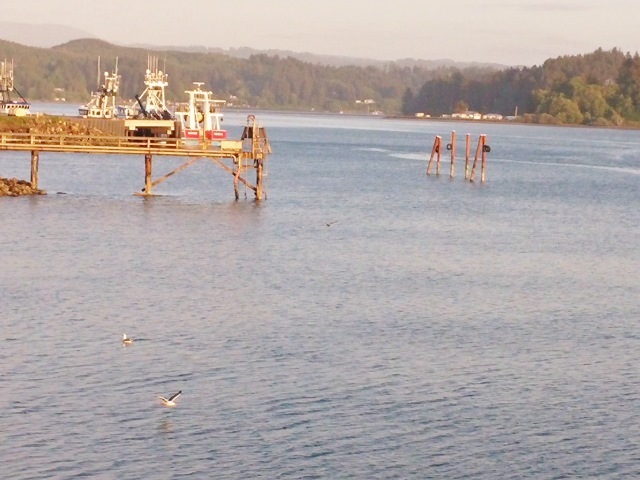 The air was slightly crisp and warming, the afternoon breeze was yet to kick up on the Yaquina Bay. Water lapped the shore, and out in the current a few sea lions floated about lazily, ready to grab a quick bite. It’s a little late to call this stunning area once owned by the Siletz Indians a natural preserve—since years ago the government reclaimed it in a tangle over oyster rights. Now, when the wind blows just right, the air is ripe with odors of a looming Georgia Pacific mill on the horizon. There aren’t many commercial beds left in this oyster farming mecca, but the Oregon Oyster Farms is hanging on. Along with an active wholesale trade, it still maintains a retail setting on the bay. At the counter, we selected petite native Yaquina oysters as well as the tinier Kumamotos, a Japanese transplant that finally took hold here several years ago. 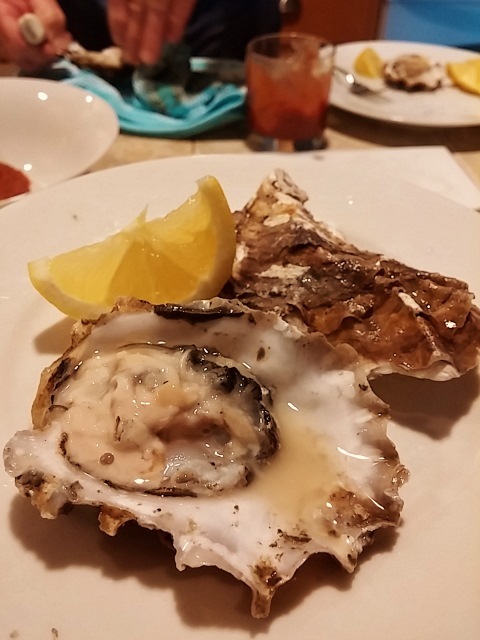 Later, after a lunch of barbecue and saltwater taffy, we opted to keep dinner simple: some local cheese, freshly baked bread and a boatload of oysters. Fortunately, Jerry is an ace oyster shucker and once armed with plenty of towels and his oyster knife he managed to do quick work of these spiny devils. Straight out of its deep shell the Kumamoto is regarded locally as the Chardonnay of oysters, mild, with a light brininess and fruitiness. 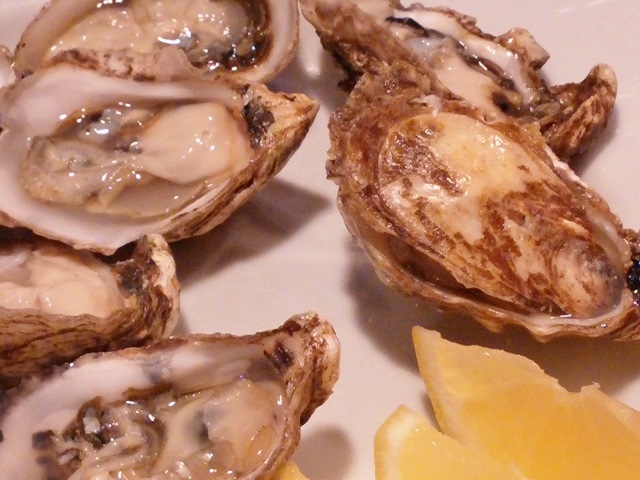 The larger Pacific oysters are buttery, mildly briny with a melon finish. I prefer mine with very little else—maybe a squeeze of lemon or a dash of Tabasco. These days, you take your risks when eating raw oysters. Most recommend cooking them well before eating. I would also agree if at all doubtful, especially anyone with health limitations. In preparing these mild oysters, much of their essence is lost when masked by heavy flavors. Mix all ingredients except oysters and place in refrigerator to chill. Place oysters in cocktail glasses to within one inch from top. Fill glasses with chilled cocktail sauce. Serve with celery sticks and thin brown bread. To improve flavor, prepare cocktails and set in refrigerator from 1 to 8 hours before serving. Will make 6 medium cocktails.